The Windows.old folder is created when you upgrade from one version of Windows 10 to another.The Windows.old folder contains all the files and data from your previous Windows installation. You can use it to restore your system to the old version of Windows if you don’t like the new version. If you’re looking for a specific file that wasn’t properly copied to your new Windows installation, you also could dig into the Windows.old folder and find it. If everything is working as expected after upgrading to Windows 10, you probably don't need these files, as they will just be wasting precious hard drive space. 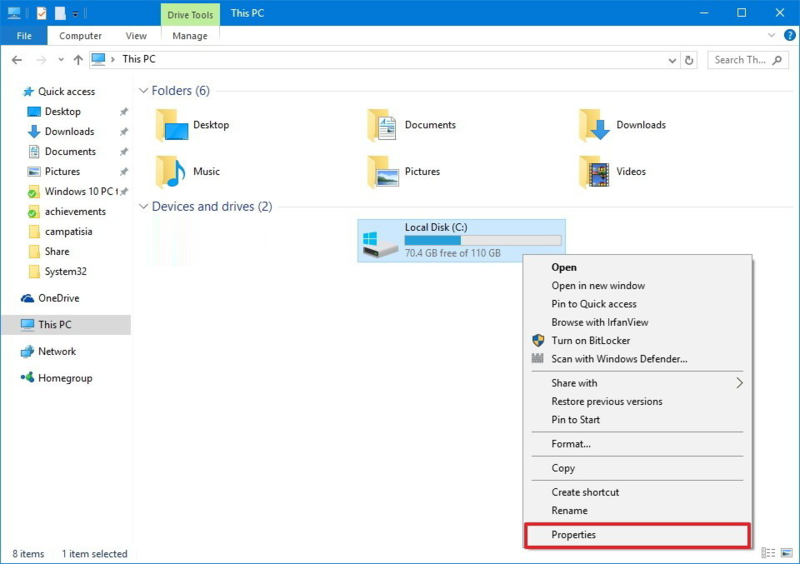 In this Windows 10 tutorial, we'll walk you through the steps to delete the Windows.old folder and other previous installation files that can be taking more than 15GB of storage space on your computer. The Windows.old folder dwells in the hard drive where the operating system is currently installed (typically the C: drive). 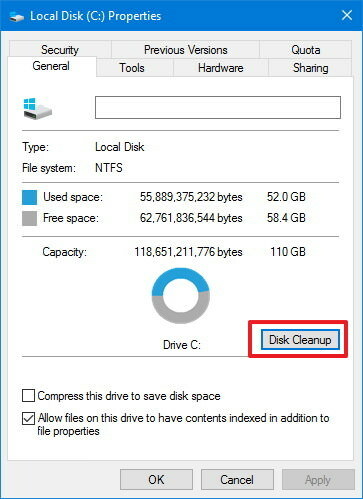 Be that as it may, you can't simply hit the Delete key and to make it disappear, you have to utilize the Disk Cleanup wizard. 1. Use the Windows + E keyboard shortcut keys to open File Explorer. 2. From the left pane, click This PC. 3. Under Devices and drives, right-click the drive with the Windows 10 installation, and click Properties. 4. 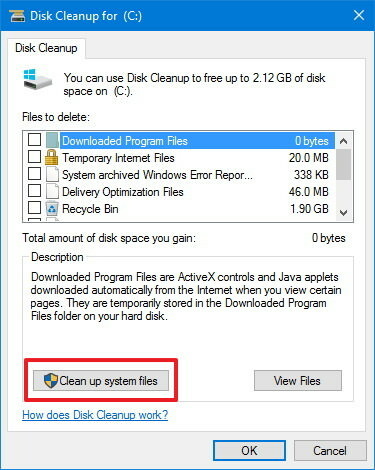 Click the Disk Cleanup button. 5. Click the Clean up system files button. 6. Select Previous Windows Installation(s), Windows upgrade log files and Temporary Windows installation files options to delete the Windows.old folder and other installation related files, which can take up several gigabytes of storage as well. 8. Click Delete Files on the pop-up dialog to confirm the deletion. 9. 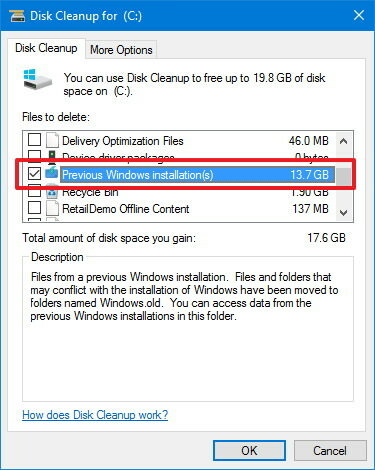 On the Disk Cleanup warning click Yes to complete the process. Keep in mind that it's safe to delete the Windows.old folder and related files from your computer. However, you should also consider that after removing these files, you will no longer be able to roll back to the previous version of Windows 10 using the recovery options. chat_bubbleHow to delete history and caches in selenium ide?